As fans wait for Bowl season to begin and especially the College Football Playoff, a little bit of statistics to chew on is a good way to pass the time. Today? FEI’s best performances of the season. What is the top 5 based on? Per the website, GFEI Game Ratings are the opponent-adjusted single game data used to produce overall FEI team ratings. Adjustments factor in home field advantage and the strength of the opponent. Each team table includes the game result (Final), game location (Site), opponent FEI team ranking (OF), opponent OFEI offense ranking (OO), and opponent DFEI defense ranking (OD). Game ratings for offense (OFEI), defense (DFEI), and overall (GFEI) include the national rank and percentile (Pct) of each game performance. The weight (GW) each GFEI rating receives in the FEI formula is a function of the relative strength of the team and its opponents. And now that it’s out of the way, here are the top 5 performances by college football teams in the 2017 regular season. 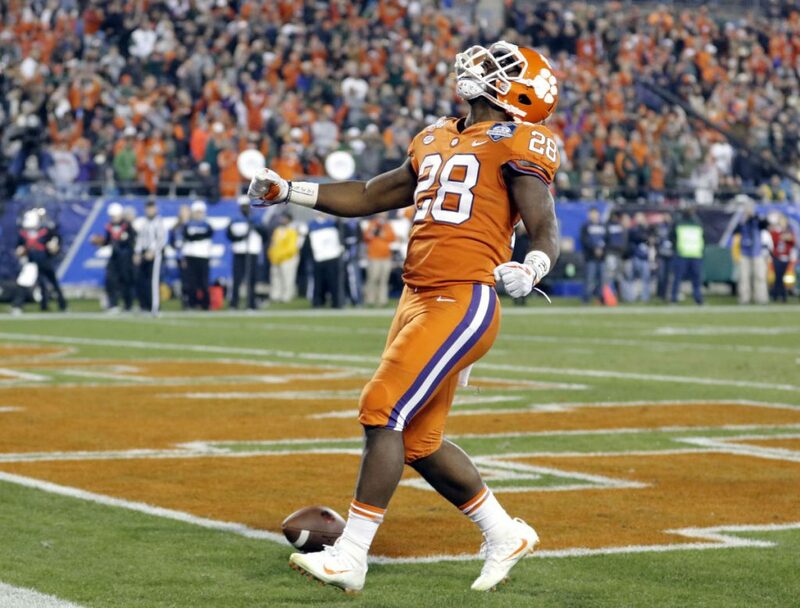 Clemson claimed their third consecutive ACC title and third consecutive berth in the CFP thanks to a demolition of Miami. 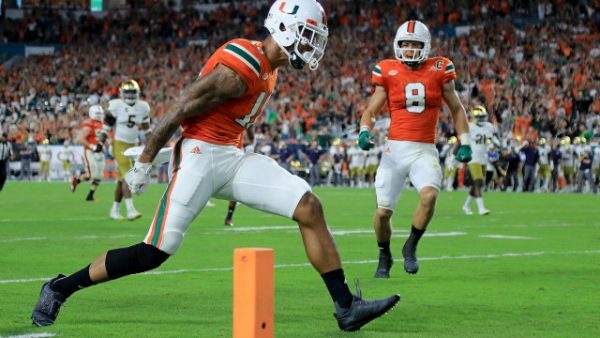 Sure, the ‘Canes had their best season since the early 00’s, but they looked awful in the conference title game, held to just 214 offensive yards and 0 touchdowns. Meanwhile, Kelly Bryant had just 6 incompletions while throwing for a touchdown and running for one. Maybe Oklahoma’s most impressive win this season came in a revenge match against the Buckeyes, who were #2 in the nation at the time. The Sooners took control of the game late in the third quarter after a touchdown pass from Baker Mayfield to Lee Morris. 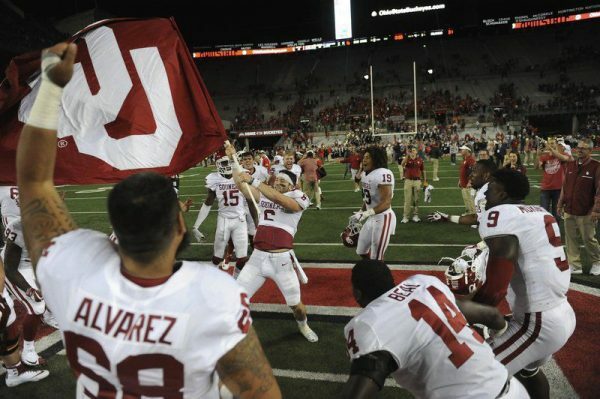 Mayfield, who just won the Heisman Trophy, threw for 3 TDs and 386 yards, while Oklahoma outgained the Buckeyes by 140 yards. 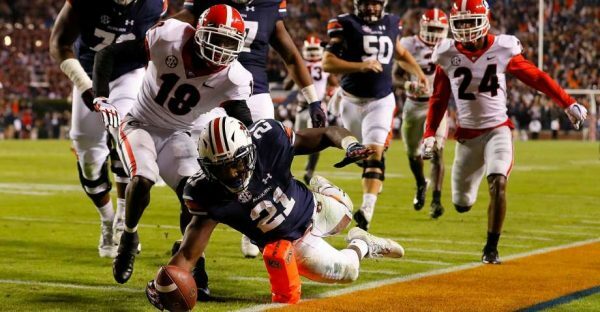 Auburn fans will probably remember their win against Alabama as the biggest moment of the season, but the numbers suggest their 40-17 win over Georgia was of the highest quality. 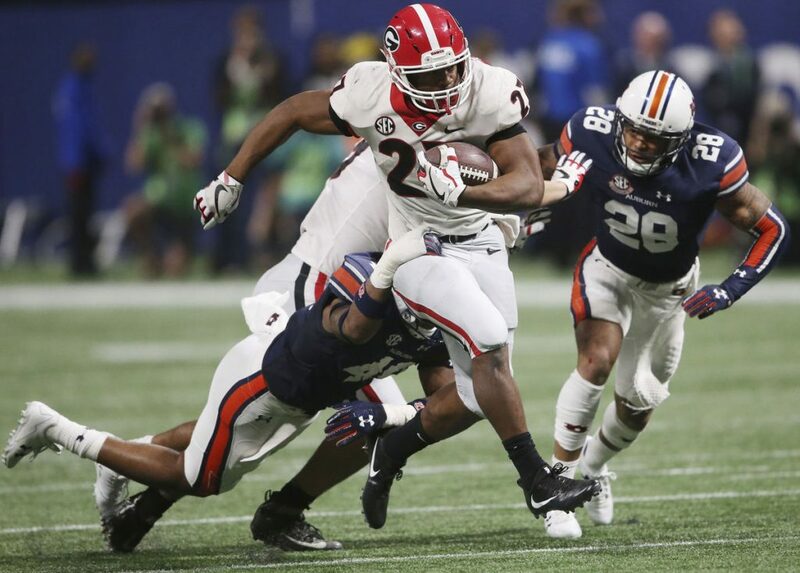 Nick Chubb gave the Bulldogs the lead, but Auburn replied with 30 consecutive points, holding Georgia to just 230 yards and 13 first downs. Jarrett Stidham threw for 3 touchdowns while Kerryon Johnson finished with 233 yards from scrimmage and a touchdown. Not long after getting pummeled by the Tigers, Georgia got their revenge, their first SEC title since 2005 and their first berth in the CFP. Jake Fromm was efficient with 2 touchdown passes and Nick Chubb alongside D’Andre Swift led Georgia to 238 rushing yards, while holding Auburn to 0 points in the last 55 minutes of the game. Mark Richt’s biggest moment as a Miami head coach, leading his ‘Canes to a demolition of the Fighting Irish in what derailed ND’s hopes for a 1st playoff appearance. At the time, Miami were undefeated (lost the regular season finale to Pittsburgh). Miami forced four turnovers in the game, which gave the ‘U’ turnover chain the moment in the spotlight it was waiting for all season.